I travel frequently. Mostly, it’s just short roadtrips, but travel can be very stressful. I’ve learned that the more prepared I am for the trip, the less stressed I am about traveling. Traveling is supposed to be fun, not stressful! Here are five easy tips for stress-free travel. If you’re going somewhere you’ve never been before, DO YOUR RESEARCH. Being informed is key to stress-free travel. Research where you’re going and where you’re staying. Are there any special considerations you should make or any travel advisories of which you should be aware? Keep a check on the weather beginning ten days out, so you have a heads-up of any inclement weather and know how to dress. Tip 2: For big trips, get travel insurance. One of the biggest stress inducers for traveling is worrying about what could happen. So I like to be prepared by purchasing travel insurance when going on a big trip. You can purchase travel insurance through either a company that specifically sells travel insurance or through your travel agent if you have one. Travel insurance can be really expensive when purchased like that, though, so I actually book my trips on a credit card that provides travel insurance as one of its perks! If you have a credit card, call customer service to see if you have a travel insurance benefit and, if so, what are its terms and conditions. Tip 3: Keep a packing list in your planner. For all of your trips, you will need the same essentials. 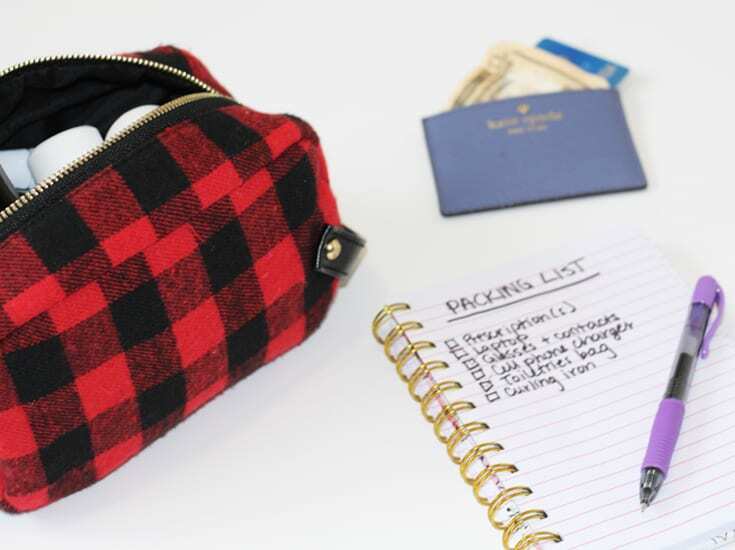 Make a list of those and keep your packing list in your planner. Add to that list as needed. That way, you don’t have to stress out about what to pack and whether you’re forgetting something. You can even make copies of the list so that you can check things off as you go every single time. Remember to list important things like glasses, prescriptions, and your computer–things that would be difficult to just go out and purchase if you left them behind. Tip 4: Carry multiple forms of payment in separate locations. Being on a trip with no cash would be terrible, especially if you were to lose your purse or wallet, or have them stolen. I’ve even had instances where my credit card was declined because I was traveling out of state. So take a couple of cards, or a card and some cash, and stash them in separate places. If you’re traveling with your significant other, make sure you each have at least one form of payment. That way you will hopefully be okay if you were to lose your bag or have it stolen. 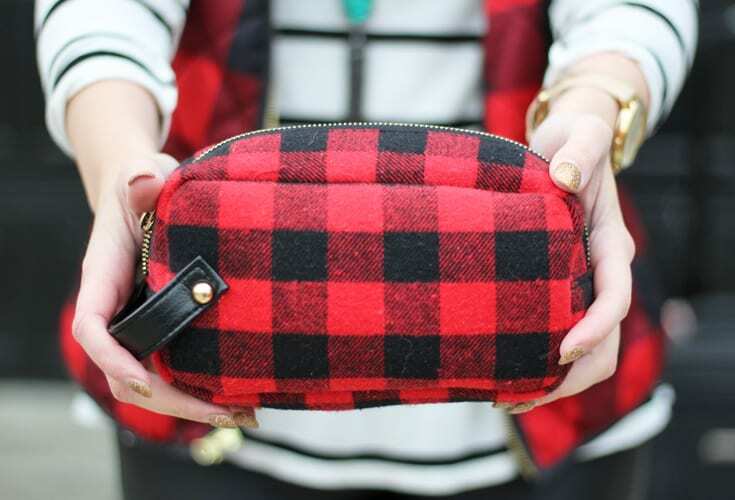 Tip 5: Keep a toiletry bag filled with all the important things that you can grab and go. It can be so annoying trying to round up all of the toiletries you need. I like to keep a toiletry bag packed so that I can grab it and go, knowing that everything I need is in there. Things I like to keep packed are 3 oz. bottles of shampoo, conditioner, hair spray, shower gel, shave lotion, and contact solution, along with a contact case, razor, toothbrush, travel toothpaste, and Excedrin®. I always like to carry something for headaches because both Chauncey and I tend to get headaches when we travel, which can ruin a trip. My headaches tend to strike in the evening around bedtime, while Chauncey is prone to migraines. So I pack both Excedrin® PM Headache for myself and Excedrin® Migraine for him. 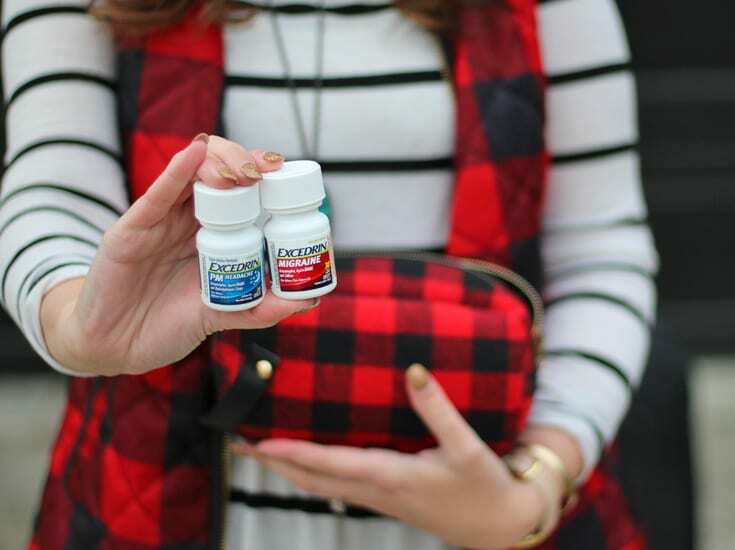 Excedrin® saves the day because it seems that someone always gets a headache. When we were in Vegas over the Thanksgiving holiday last year, I had a killer headache. But because I was prepared, I was able to relieve my headache and was fine. 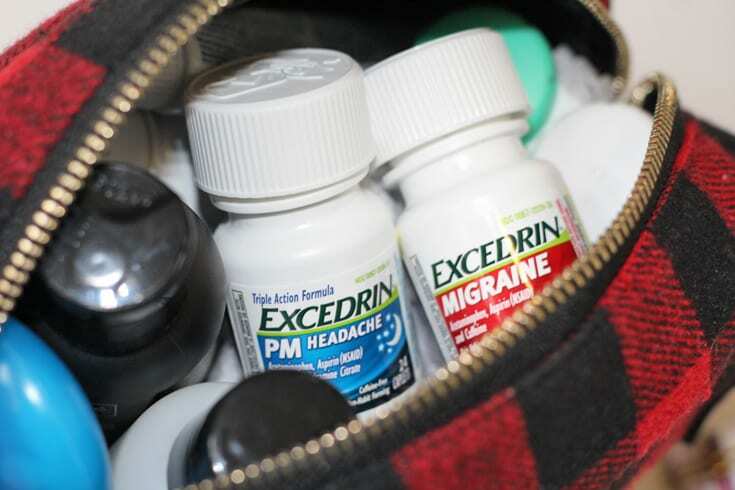 Excedrin® PM Headache provides night time headache relief to help you sleep, as it contains two pain fighters plus a sleep aid. Excedrin® Migraine starts to relieve migraine pain in 30 minutes, and is the #1 Neurologist Recommended* over-the-counter medicine for migraines. * Be sure to consult with your doctor first if you think you are suffering from migraines. Also, only use the products as directed and see the Excedrin Warnings of Usage for all product claims, and you may not use the products if you are under 18 or pregnant. 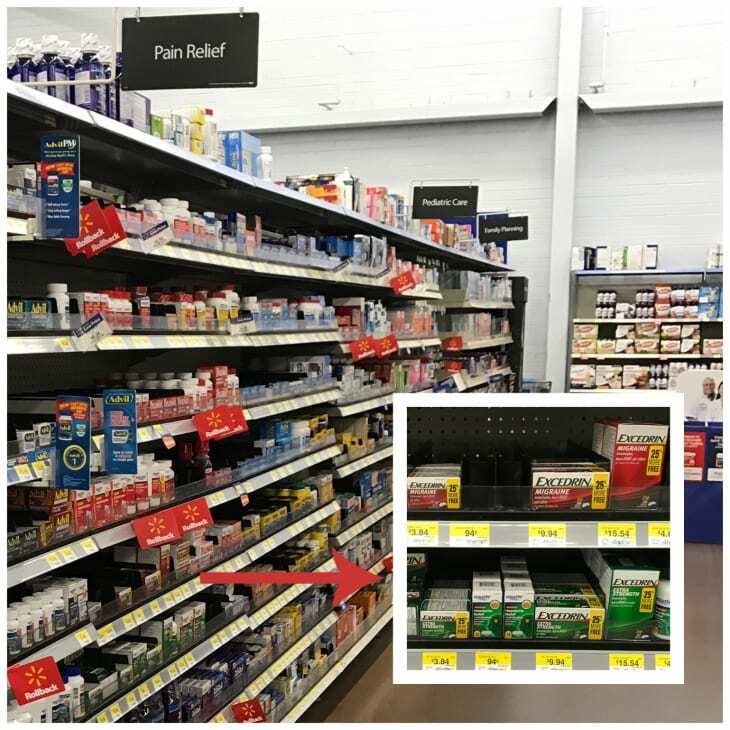 You can pickup Excedrin® in the Pain Reliever aisle at your local Walmart. You can checkout how others are having more moments with Excedrin® here.